Around 1968 issued tuner for European market, made for the 'Audio Sonic' company, by "Comet Electric Company" in Japan. 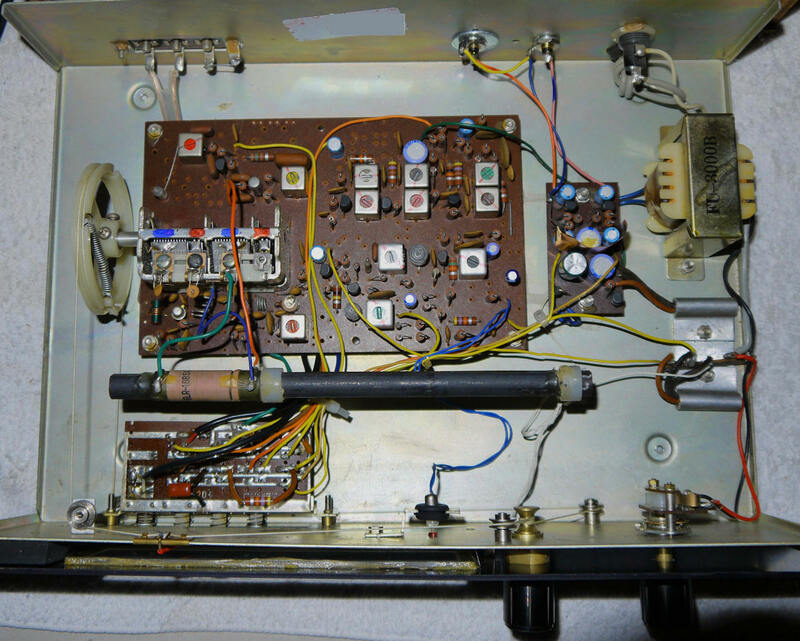 This tuner employs silicon and germanium transistors. AFC switch at the front, working and usefull. 1. Zener diode of the stabilization power supply part. 4. 1 silicon and 1 germanium transistor in the AM section. 5. Germanium stabilizing transistor heatsinked for the power supply and one switching transistor for the MPX lamp. 6. 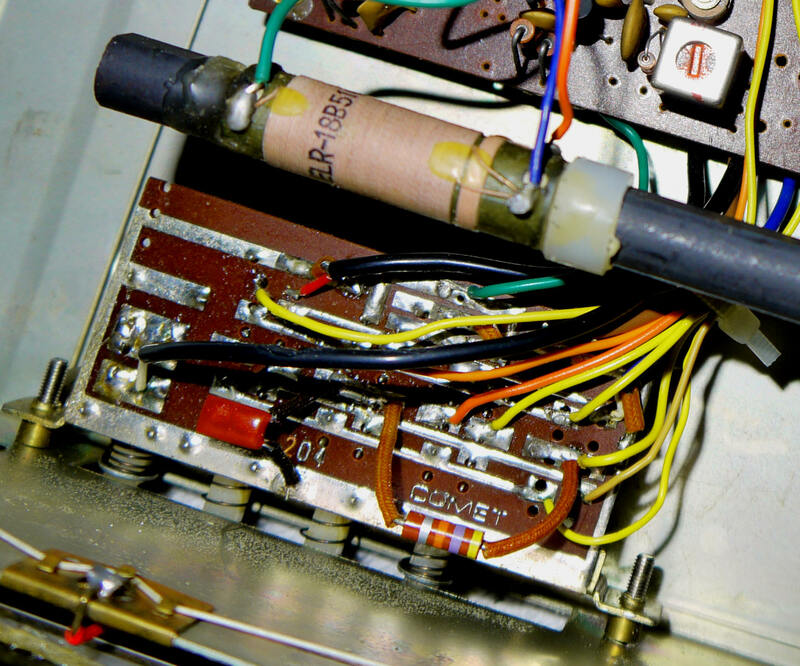 Audio section with L & R transistor for final amplification on PS pcb board. The rectifying in the supply section of the tuner is simple: only 1 diode is used, and only 1x 470µF capacitor. I upgraded the secondary part of the supply to a rectifier bridge with 1 capacitor of 1000µF. FM IHF sensivity: 5 µV at 25 dB S/N. Distortion (THD 20Hz - 14kHz) ~2% at max input voltage. Channel spearation approx. 30 dB. This tuner may have some issues. The power supply should be updated as indicated. Today this is not an issue anymore because the FM band is quite empty. This model was also sold under the name: Prinzsound model T-900. The inside electronics are older and different, it has also a slightly different smaller cabinet. The output audiostage is on the power main pcb. The sound is acceptable for this simple and vintage tuner.